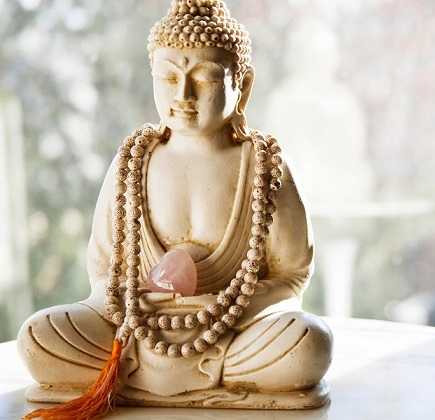 The Buddha is viewed as an avatar of the god Vishnu in Vaishnava Hinduism although the Buddha himself denied that he was a god or an incarnation of a god. Buddha’s teachings deny the authority of the Vedas and consequently Buddhism is generally viewed as a nastika (heterodox school) from the perspective of orthodox Hinduism. He expounded the four noble truths (Arya Satya) concerning suffering, its cause, its destruction and the way to the elimination of sorrow. He was against the extremes of both self-indulgence and self-mortification. A Middle Path was advocated consisting of right views, right aspirations, right speech, right conduct, right livelihood, right effort, right mindfulness and right contemplation. He rejected the authority of the Vedas, condemned ritualistic practices, especially animal sacrifice, and denied the existence of gods. Another important scriptures that mentions him as an Avatar is Rishi Parashara’s Brihat Parashara Hora Shastra (2:1-5/7). He is often described as a yogi or yogacharya, and as a sannyasi. His father is usually called Suddhodhana, which is consistent with the Buddhist tradition, while in a few places the Buddha’s father is named Anjana or Jina. He is described as beautiful (devasundara-rupa), of yellow skin, and wearing brown-red or red robes. Only a few statements mention the worship of Buddha, e.g. the Varahapurana states that one desirous of beauty should worship him. Translation: To delude the demons, he [Lord Buddha] stood on the path in the form of a child. The foolish Jina (a demon), imagined him to be his son. Thus the lord Sri Hari [as avatara-buddha] expertly deluded Jina and other demons by his strong words of non-violence. Translation: Then, in the beginning of Kali-yuga, for the purpose of confusing the enemies of the devas, [he] will become the son of Anjana, Buddha by name, in the Kikatas. At this time, reminded of the Kali Age, the god Vishnu became born as Gautama, the Shakyamuni, and taught the Buddhist dharma for ten years. Then Shuddodana ruled for twenty years, and Shakyasimha for twenty. At the first stage of the Kali Age, the path of the Vedas was destroyed and all men became Buddhists. Those who sought refuge with Vishnu were deluded. In 8th-century royal circles, the Buddha started to be replaced by Hindu gods in pujas. This also was the same period of time the Buddha was made into an avatar of Vishnu. 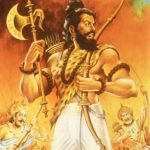 O Keshava! O Lord of the universe! O Lord Hari, who have assumed the form of Buddha! All glories to You! O Buddha of compassionate heart, you decry the slaughtering of poor animals performed according to the rules of Vedic sacrifice. This viewpoint of the Buddha as the avatar who primarily promoted non-violence (ahimsa) remains a popular belief amongst a number of modern Vaishnava organisations, including ISKCON. Additionally, there is the Vaishnava sect of Maharashtra, known as Varkari, who worship Lord Vithoba (also known as Vitthal, Panduranga). Though Vithoba is mostly considered to be a form of the little Krishna, there has been a deep belief for many centuries that Vithoba is a form of Buddha. Many poets of the Maharashtra (including Eknath, Namdev, Tukaram etc.) have explicitly mentioned him as Buddha., though many neo-Buddhists (Ambedkaries) and some western scholars often tend to reject this opinion. Vivekananda: May he who is the Brahman of the Hindus, the Ahura Mazda of Zoroastrians, the Buddha of Buddhists, the Jehovah of the Jews, the Father in Heavens of Christians, give strength to you to carry out your noble ideas! 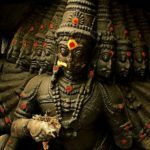 Radhakrishnan: If a Hindu chants the Vedas on the banks of the Ganges… if the Japanese worship the image of Buddha, if the European is convinced of Christ’s mediatorship, if the Arab reads the Koran in the mosque… It is their deepest apprehension of God and God’s fullest revelation to them. 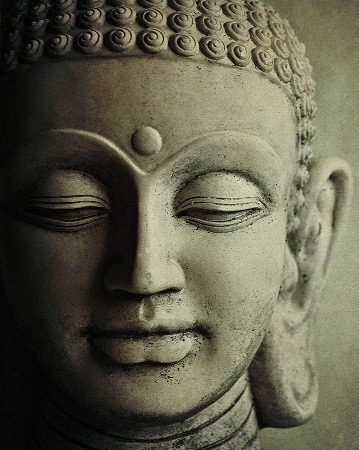 A number of revolutionary figures in modern Hinduism, including Gandhi, have been inspired by the life and teachings of the Buddha and many of his attempted reforms. According to Wendy Doniger, the Buddha avatar which occurs in different versions in various Puranas may represent an attempt by orthodox Brahminism to slander the Buddhists by identifying them with the demons. Helmuth von Glasenapp attributed these developments to a Hindu desire to absorb Buddhism in a peaceful manner, both to win Buddhists to Vaishnavism and also to account for the fact that such a significant heresy could exist in India. The times ascribed to one “Buddha” figure are contradictory and some put him in approximately 500 CE, with a lifetime of 64 years, describe him as having killed some persons, as following the Vedic religion, and having a father named Jina, which suggest that this particular figure might be a different person from Siddharta Gautama.